These poems retain the referentiality that’s woven throughout the book, bringing in samples from The Cure, The Stranglers, My Friend the Chocolate Cake, Kate Bush, and Boards of Canada, as well as television shows, novels, and many other poets from Sylvia Plath and Gwen Harwood, whose work pervades Glasshouses book so strongly to Ofelia Zepeda, Benjamin Dodds, Nigel Featherstone and many others, including all of the Cento authors whose work has been collectively transformed into something new here. 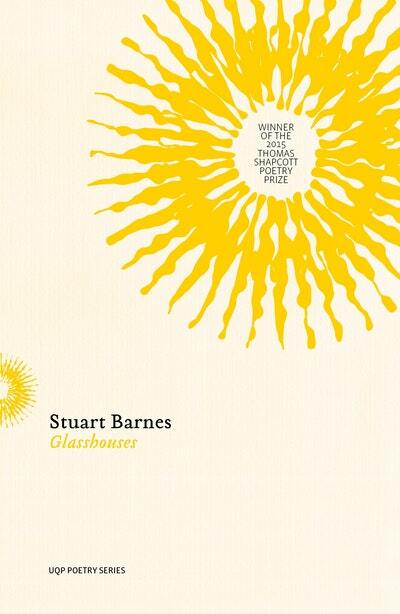 Glasshouses is a powerful debut full of tight craftsmanship, and decentred, multi-vocalled poems that combine a temporal urgency and emotional drama with rhythm, form, structure and a creative ‘uncreativity’ that is both delicate and powerful. Sonnets, villanelle, sestina, found poems, acrostics, and remixes all reference one another and themselves, shifting through an unreliable lens of memory, self-awareness, changing identity, and a progression that works not so much from youth to age but from naivety to understanding.